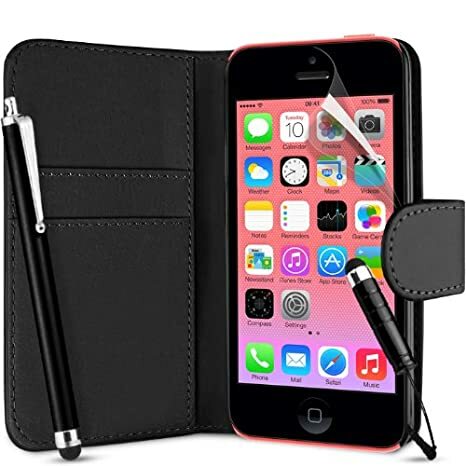 "This Best Selling Iphone 5C Wallet Leather Case, Screen Protector and Stylus Tends to SELL OUT VERY FAST! If this is a MUST HAVE product, be sure to Order Now to avoid disappointment!" Made from high quality material that offers protection without compromising functionality, your Iphone will be protected from any damage it might otherwise sustain during everyday life. Included is a screen protector to prevent screen scratches and abrasions.